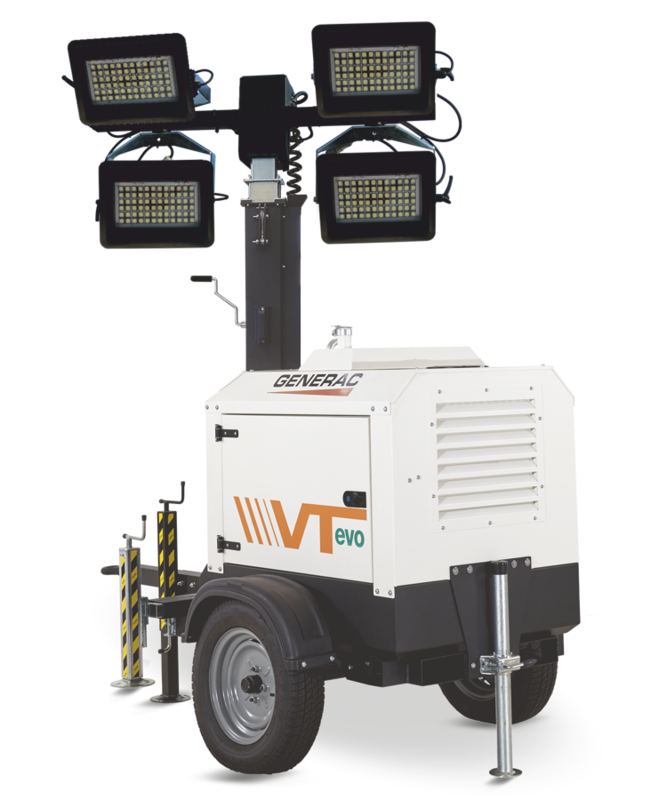 The lighting power of 4x320W LED floodlights meets a very narrow canopy design evolving the new VTevo light tower onto the most compact and eco-friendly light tower ever created! VTevo will help you to skimp up to 75% of fuel and protect our environment with a reduction in carbon emissions up to 10 Ton per year. The machine can run continuously without refuelling up to 200 hours. 4x320W high efficiency LED floodlights designed by Generac Mobile®. Granted life expectation: 35,000 working hours! Up to 25 units can be loaded on a single truck, 10 units on a 20” container and 22 units on a 40”. A perfect solution to save transport costs! 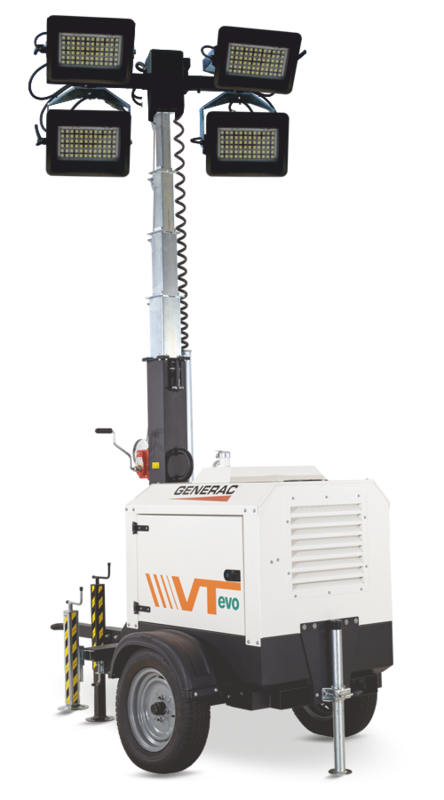 Protect the environment with VTevo: reduced CO2 emission up to 10 ton per year compared to a traditional lighting tower! Steel reinforced body for maximum reliability, with large cooling grates positioned on 2 sides. Compared to a traditional Metal Halide lighting tower, you can save with the VTevo up to 75% of the fuel!